The Principles of Beautiful Web Design is the ideal book for people who can build websites, but are seeking the skills and knowledge to visually enhance their sites. This easy-to-follow guide is illustrated with beautiful, full-color examples, and will lead you through the process of creating great designs from start to finish. This Wordpress tutorial is illustrated with helpful screenshots to facilitate learning and decrease implementation time. Praise for The Complete Website Planning Guide: A great, accessible and practical guide that you can quickly use to get better results from your next website build. Get to it! Would you build a house without blueprints and expect it to be perfect? Increasing conversion rates on a website represents one of the fastest revenue growth opportunities for marketers and business owners - but few people really understand how to make websites convert. Harness the trade secrets from this acclaimed industry insider, veteran of hundreds of marketing campaigns in the corporate Big Leagues. Discover twenty-four promotional tools to convert visitors into buyers. Six questions to NEVER ask in a marketing campaign. Nine steps to turn your email list into a cash machine. Learn sixteen practical conversion tips for any website. Learn psychological triggers to increase conversion rates using an array of promotional tools. 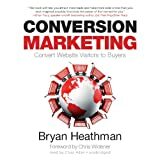 This audiobook contains the secrets to setting up the perfect marketing campaign for your website, from building your audience to closing the sale. Struggling to make your website pay? Learn how to design it so your visitors can't help but buy from you! Do you hate sitting at the computer, wondering what on earth to do with your website? Do you wish there was an easier way to know what to change, so you could attract more customers? Through easy-to-follow tips and exercises, Cracking The Website Code gives you the tools and knowledge you need to finally create a website your customers love. Finally, you no longer have to be frustrated with your website. Janice's jargon-free, expert guide, with WordPress tips, practical business advice, checklists and a free companion workbook, will help you launch your website success story today. Buy Cracking The Website Code today to get people excited to visit your website! You can easily create a professional-looking website with nothing more than an ordinary computer and some raw ambition. Want to build a blog, sell products, create forums, or promote an event? No problem! 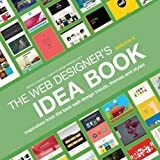 This friendly, jargon-free book gives you the techniques, tools, and advice you need to build a site and get it up on the Web. Master the basics. Learn HTML5, the language of the Web. Design good-looking pages. Use styles to build polished layouts. Get it online. Find a reliable web host and pick a good web address. Use time-saving tools. Learn free tools for creating web pages and tracking your visitors. Attract visitors. Make sure people can find your site through popular search engines like Google. Build a community. Encourage repeat visits with social media. Bring in the cash. Host Google ads, sell Amazon’s wares, or push your own products that people can buy via PayPal.